Excited to cheer our Amazin’ Mets on to a triumph over the Chicago Cubs? 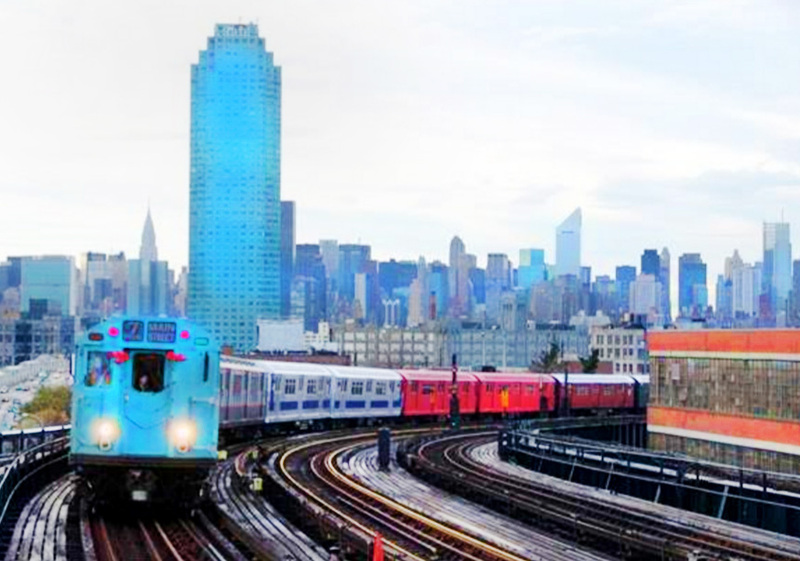 Show your support by riding the MTA’s very special “Train of Many Colors” over to Citi Field this weekend. The one-of-a-kind train gets its name from the fact that it’s made up of different-colored vintage IRT cars dating back to 1948 and 1964 (including the redbirds from the 1980s – remember those?). The rainbow-hued 7-line convoy will be departing 34 St-Hudson Yards at 6:30 p.m. on Saturday and Sunday, so don’t miss your chance to ride it all the way to victory!